LONDON -- Being too heavy may cost you your life - literally. Scientists say overweight people die one year earlier than expected and that moderately obese people die up to three years prematurely. Doctors have long warned that being overweight can lead to health complications including heart disease, stroke and cancer, and previous studies have already found that extra pounds can take years off your life, based mostly on data from Europe and North America. In the new study, which the authors say is the largest-ever such analysis, researchers sifted through data for nearly 4 million non-smoking adults in 32 countries published from 1970 to last year. They compared the risk of death to people's body mass index, or BMI, a measure of body fat that is calculated using height and weight. They defined a BMI from 18.5 to 25 as normal, 25-30 as overweight, 30-35 as moderately obese and over 40 as severely obese. A person who is 5 foot 4 is considered obese at a weight of 174 pounds or more. Overweight people lose a year of life on average and moderately overweight people lose 3 years, said Richard Peto of Oxford University, one of the study authors. 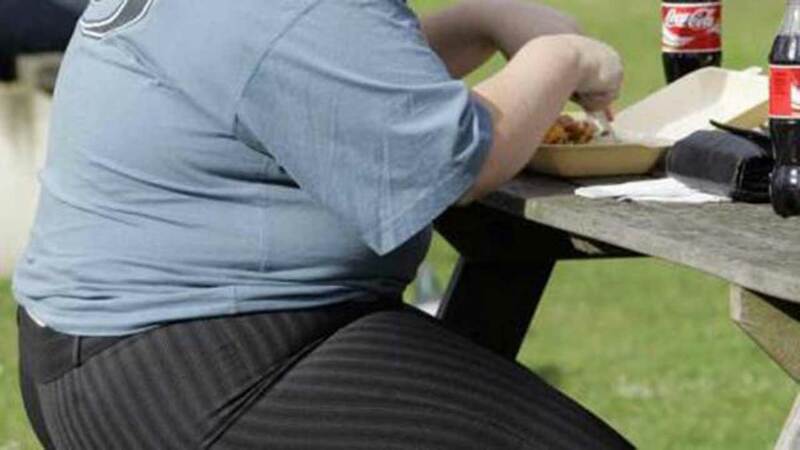 A previous study found that being severely obese could cost as much as 8 years of life. The study also found that being obese is far more dangerous for men than for women. "The excess risk of premature death is about three times as big for a man who gets fat as for a woman who gets fat," Peto said. Men tend to be higher risk for earlier death in general, and the risk worsens when obesity is added to the equation, he said. According to the World Health Organization, 15 percent of women worldwide and 11 percent of men are obese. Overall, the WHO estimates that more than 1 billion adults are overweight and another 600 million people are obese. Carrying too much weight is now second to smoking as a cause of premature death in North America and Europe; smoking causes about a quarter of all premature deaths there while being too heavy now causes about 14 to 20 percent of such deaths. Peto acknowledged that more is needed than to simply advise people to lose weight, because dropping even a few pounds and keeping them off is notoriously difficult. "It might be easier to recommend that people try very hard not to put on weight in the first place, particularly before they hit middle age," he said. Tam Fry, spokesman for Britain's National Obesity Forum, said the new study was further proof of the dangers of tipping the scales. "We've known for some time that if you're not looking after yourself, then being fat will kill you," Fry said. "If you don't want to die earlier, then you should take steps to do something about your weight."